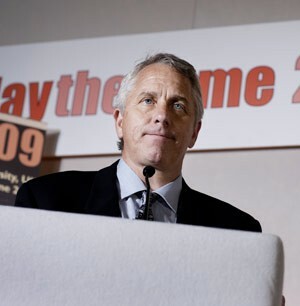 Triple Tour de France winner Greg LeMond has outlined several methods by which he believes cycling can restore its credibility, listing a number of ways he feels that the sport can prove that it is above suspicion. The American has been a critic of the UCI in recent years, and says that he is concerned by allegations that the UCI accepted a bribe to cover up a positive doping case involving Lance Armstrong. The UCI has denied the claim, but admits that it received sizeable donations from Armstrong in the past. LeMond wants to see all doubts about impartiality removed from the equation, and spoke to VeloNation about some of the steps he thinks would achieve that. 4: Use more than one lab to test samples, thus backing up results: “Currently with urine tests or blood tests, you do A and B samples…what if you did A,B, C and D? I don’t know the quantity that you need of blood and urine, but I believe that there has got to be enough to get four samples, two each to two different labs. LeMond’s idea is to utilise VO2 Max tests plus power meters to establish an ability-level for riders. His belief is that if a rider has a VO2 Max of a certain level, it should be possible to work out the likely limits to his or her performance, in terms of time trial and climbing speeds. Any significant improvement on this baseline would be investigated in order to eliminate the possibility that the rider has been doping. The process would be a form of physiological profiling, much as the current UCI bio passport establishes an average value for blood parameters. LeMond has until Friday to provide documents to the investigators looking into claims made by former top US pro Floyd Landis into an alleged doping regime on the team. The triple Tour winner has said that he is glad to assist the investigation, and believes it is necessary for cycling to move on from the past. Despite previous tensions between himself and Landis , he met the former US Postal Service rider this month to lend his support. He said that he felt Landis is doing well, despite the obvious strain of the current situation.